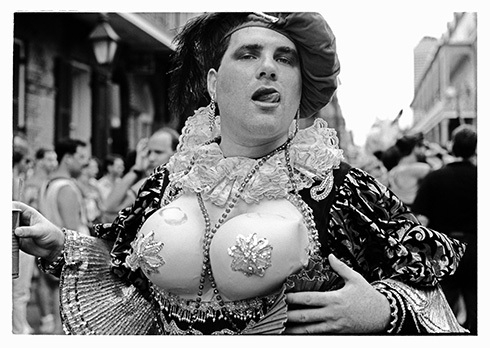 These black and white images are part of a large body of work taken between 1991 and 2001 on the streets of New Orleans. 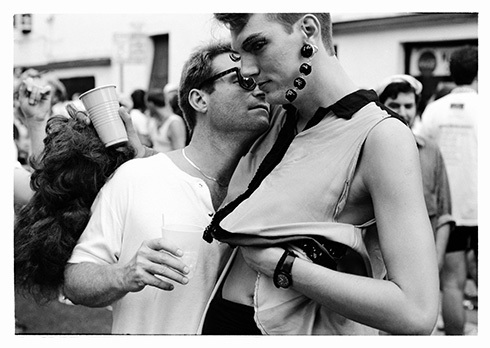 The photos document the annual Labor Day weekend celebration called Southern Decadence during which several hundred thousand gay men and women come to the city to enjoy an outrageously raucous and very public good time. All the images were photographed using black and white film. They are intentionally rough with noticeable grain and inconsistent exposure. In short, as wild and wooly as the weekend itself. Sometime in 2013, the photos will be published as a hard cover book. ~ by shooter1 on August 31, 2012. This entry was posted on August 31, 2012 at 6:57 pm and is filed under Documentary portraiture, gay, gay photography, Southern decadence, Street photography.You can follow any responses to this entry through the RSS 2.0 feed.You can leave a response, or trackback from your own site.